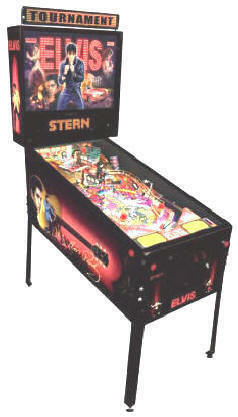 THE ELVIS PINBALL MACHINE ! 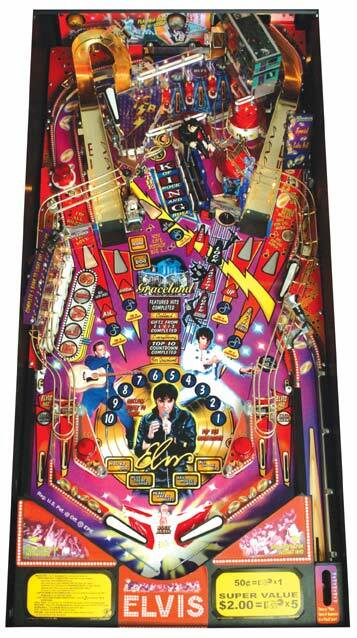 Elvis name and was designed by pinball's leading designer, Steve Ritchie! bars and game operators alike will have to have this pinball machine! It's actually Elvis himself singing along in the game ! MOST MUSICAL PINBALL MACHINE EVER CREATED ! front door on a clear Lexan second-level playfield. highest reward…a trip to Graceland ! for "Elvis commentary" heard as one plays the game. 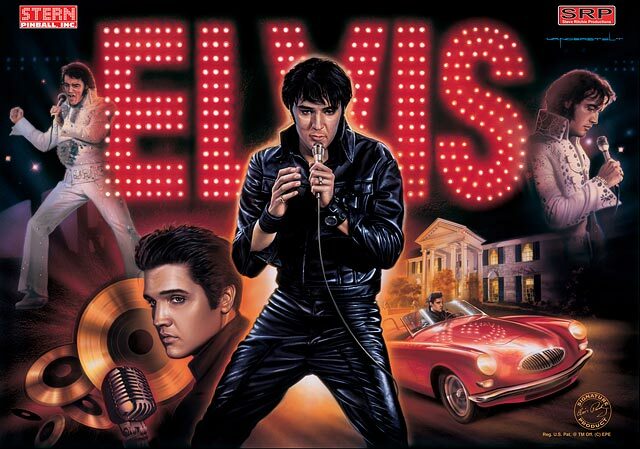 And the singing is all by The King himself! “We have addressed operator issues wherever possible. With four flippers and a magnet that sets up a loop flip, two genuine eject saucers, as well as smooth shots, the ELVIS ? game is packed with many cool mechanical and software features. 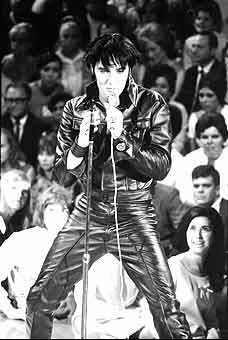 When Elvis sings and dances, people pay attention ! ELVIS ? is fun to play, hear & watch”. and completely Made In The USA with pride by American Workers !